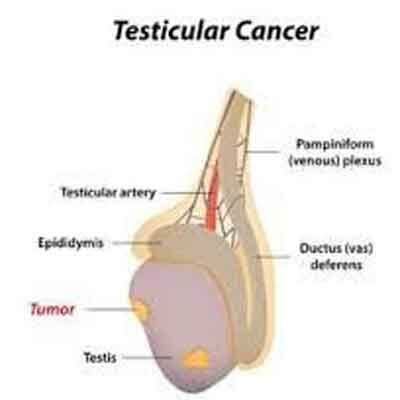 Testicular cancer is the most common cancer in young men and is curable. A newly-published Platinum Study confirms that testicular cancer survivors (TCS) are more likely to develop high BP, high cholesterol, and obesity, which can significantly increase their risk of heart disease. The findings of the study have been published in JNCCN –Journal of the National Comprehensive Cancer Network. The researchers evaluated 486 testicular cancer survivors, with a median age of 38.1 years, and found they were more likely to have hypertension than their cancer-free peers, (43.2% vs. 30.7%, P<.001), but were less likely to have lower levels of “good cholesterol” (23.7% vs. 34.8%, P<.001), or abdominal obesity (28.2% vs. 40.1%, P<.001). As for other potential heart disease risk factors, testicular cancer survivors were significantly more likely to have higher amounts of low-density lipoprotein (LDL, commonly referred to as “bad cholesterol”) (17.7% vs. 9.3%, P<.001), higher overall cholesterol levels (26.3% vs 11.1%, P<.001), and be classified as overweight based on their body mass index (75.1% vs. 69.1%, P=.04). The researchers encourage providers to screen and adequately treat testicular cancer survivors for hypertension, dyslipidemia, and hypogonadism, and to advocate for the adoption of healthy lifestyle practices like regular exercise and tobacco avoidance. They also recommend that young testicular cancer survivors discuss the risks and benefits of testosterone replacement therapy with their physicians. Testicular cancer survivors with abnormally low testosterone levels may experience fatigue, low energy, and decreased sexual desire. In addition, they can be at risk for metabolic syndrome, decreased muscle mass, fragile bones (osteoporosis), and potentially heart disease.